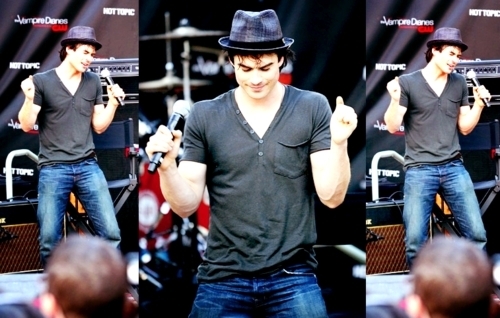 Ian doing the Damon dance!. . Wallpaper and background images in the Damon and Stefan Salvatore club tagged: damon ian somerhalder the vampire diaries. This Damon and Stefan Salvatore photo might contain regimentals and 連隊.